The Zanzibar Archipelago freckles the warm, aquamarine Indian Ocean just 50km/31mi off the coast of East African Tanzania. Zanzibar is one of those sublime ‘heaven on Earth’ places you may never wish to leave! The divine white-sand islands also make the perfect addition to an East African wildlife safari. Browse our selection of Zanzibar tours below, well-designed combinations of beach, history, culture and the mellow Zanzibar lifestyle! Or contact us for a tailor-made Zanzibar tour. Zanzibar, a short flight or ferry ride from Dar es Salaam, has two main islands - Zanzibar and Pemba - surrounded by 50 or so islets. The people of Zanzibar, a mosaic of mainland African, Indian and Arabic, enjoy a simple and unhurried way of life with agriculture, fishing and tourism as the crux of their existence. Historically, Zanzibar was the trade route nucleus for Europe, India, East Asia and the Middle East. Driven by the monsoon winds, dhows ploughed the Indian Ocean brimming with exotic spices, silk and porcelain. Today Zanzibar exports spices, raffia and seaweed, and dhows and dugout canoes are still constructed using old-school methods. 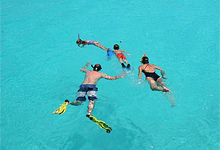 Zanzibar Island, locally known as Unguja, is the largest and most developed for tourism. Stone Town, the original section of Zanzibar City, oozes character and its historical and architectural significance made it a World Heritage Site. This extraordinary slice of history is best explored on foot and several days can be soaked up wandering the fascinating cobbled laneways and waterfront. Experience Stone Town’s intriguing bazaars, mosques, roadside vendors and ornate residences, a delightful hotchpotch of East African, Persian, Arab, Indian and European influences. Sunset cruises along Stone Town’s waterfront are also a magical way to appreciate the exquisite coral hues of the ancient stone buildings. A spice plantation tour is a must-do offering an interesting - and tasty! 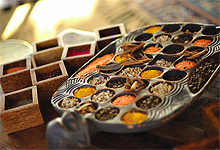 - insight into the colourful history of spice trading in Zanzibar, the ‘spice island’. Immerse yourself amongst the locals at the buzzing Darajani and Forodhani food markets where the Zanzibari people have been haggling away since 1904. For a cultural perspective of Zanzibar, include the Kidichi Persian Baths, Kizimbani and Mangapwani villages, and Maruhubi Palace Ruins on your checklist. 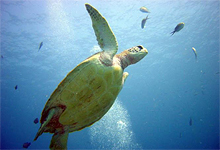 This 4 Day Tour of Zanzibar gives guests a good all round impression of Zanzibar both past & present. 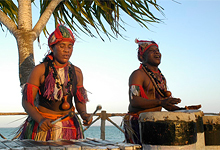 This 6 Day tour of Zanzibar takes guests on journey of the rich culture & history that this spice island offers.